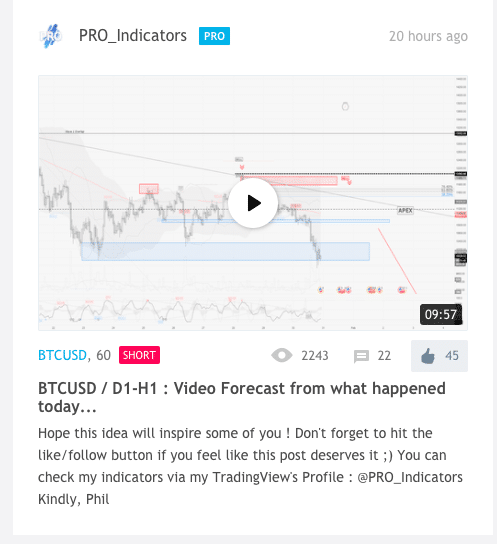 Trading video has finally released their video ideas recording option on their platform. A very innovative way to create content using the charting tools. Furthermore, it also offers a lot more learning possibilities when following succesful traders. They can explain their thought process clearly through video without having to fill up their charts with text. All you need is a mic and a webcam (if you want to film yourself) and you are good to go. At the moment only google chrome and firefox are supported. 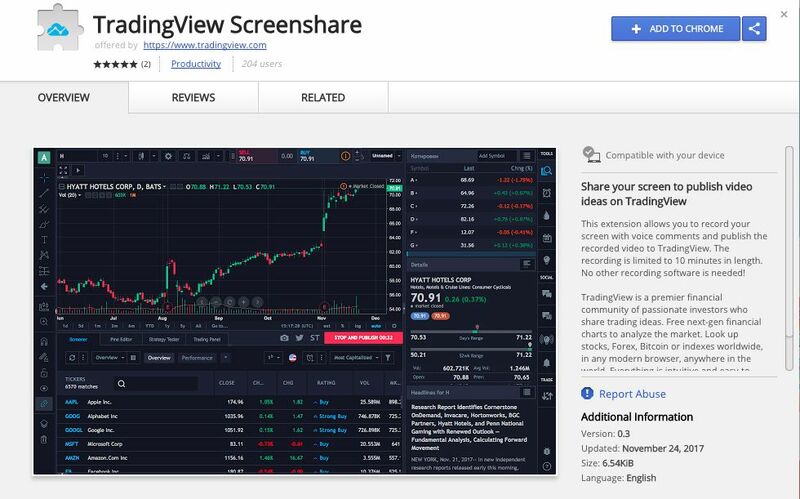 You need to install the tradingview screenshare first before you can record videos. 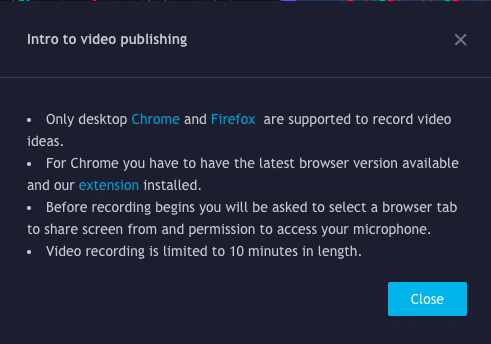 This is available for chrome and firefox.